Photos and video by Keeley Smith. He did it. After a long, tumultuous campaign, Donald Trump officially won the 2016 race for US President, clinching more than the necessary 270 electoral votes to win, while Hillary Clinton secured the popular vote. 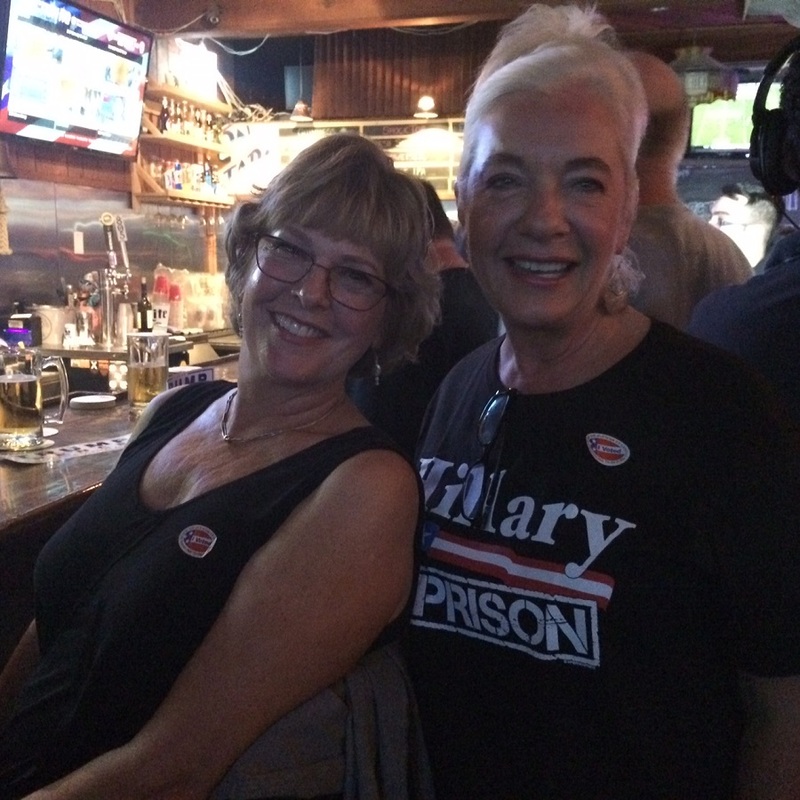 The 60 to 70 supporters gathered at the 49Rs Tavern at Pacific Coast Highway and Bellflower Boulevard were ecstatic. 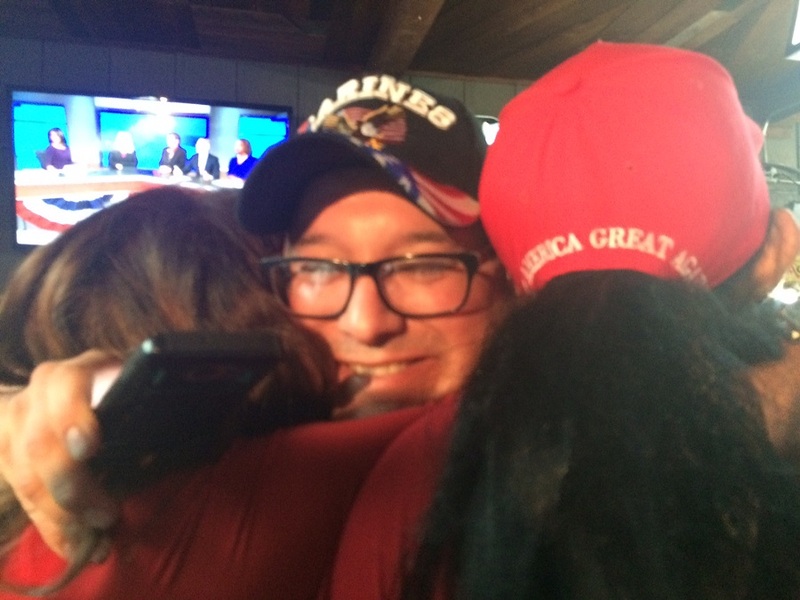 “The fact that he won the way he did means the hidden vote was significant,” said USC student and Trump supporter Alex Markus, a native of the Pennsylvania portion of the Rust Belt. “It’s Christmas Day,” said Easton Brady, a social media volunteer on the Trump campaign from Utah. Occasional chants of “Lock her up!” were followed by chants of “Trump, Trump Trump!” as his projected electoral vote count continued to rise, outpacing that of Clinton. 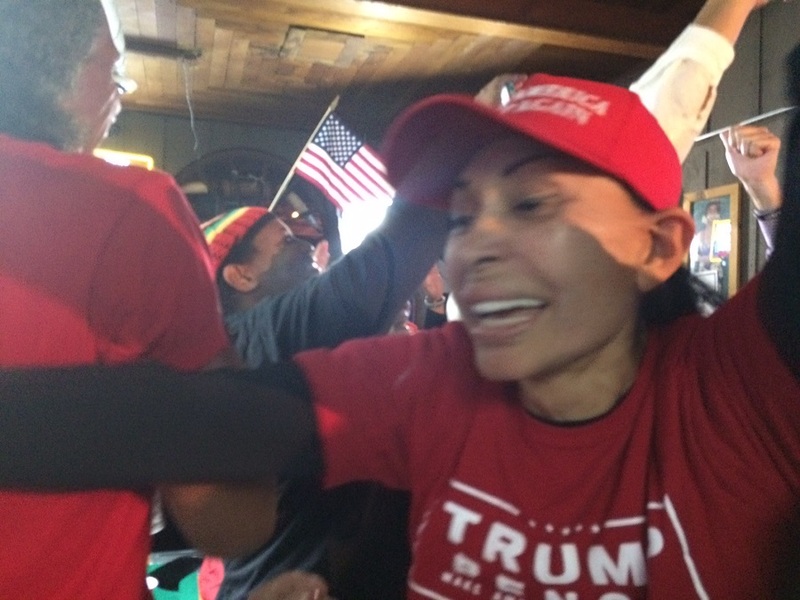 The no-holds-barred ebullience of the tavern stood in marked contrast to the mood at the election results viewing party hosted by Clinton supporters at Hamburger Mary’s, which remained one of civility and optimism for most of the night, before supporters were struck by shock. Carissa Mercado, 26, of Cerritos said she was thrown by the election results. She said she feared for her brother, who has a pre-existing medical condition and was afraid that without Obamacare care he wouldn’t be covered by healthcare providers. She said she was also anxious about what would become of many members of her family, who happen to be Filipino immigrants. Meanwhile, Trump supporters were fixated on his ability to stem the flow of illegal immigration and, they said, bring jobs back to the US. They said they were profoundly worried about any influx in Syrian refugees. The process for refugees to enter the United States currently requires an “intensive biographic and biometric security check,” according to the Refugee Processing and Security Screening website. Information on the current process is available here. Christy Dewalt and Debbie Brannen, life-long Long Beach residents and alumni of Millikan High School and CSULB. Photo by Keeley Smith. The Clinton camp grew increasingly anxious as the night wore on. “We’re upset, we’re angry [but] we still have to have hope and keep fighting,”said Nick Maldonado, a Hillary Clinton campaign volunteer. Chris Robson, 71, of Long Beach, an organizer at the Clinton campaign office vowed to fight everything Trump proposed, given his victory. He said he was concerned that many of his rights as a gay man would slow down or stop, as a result of a Trump presidency. 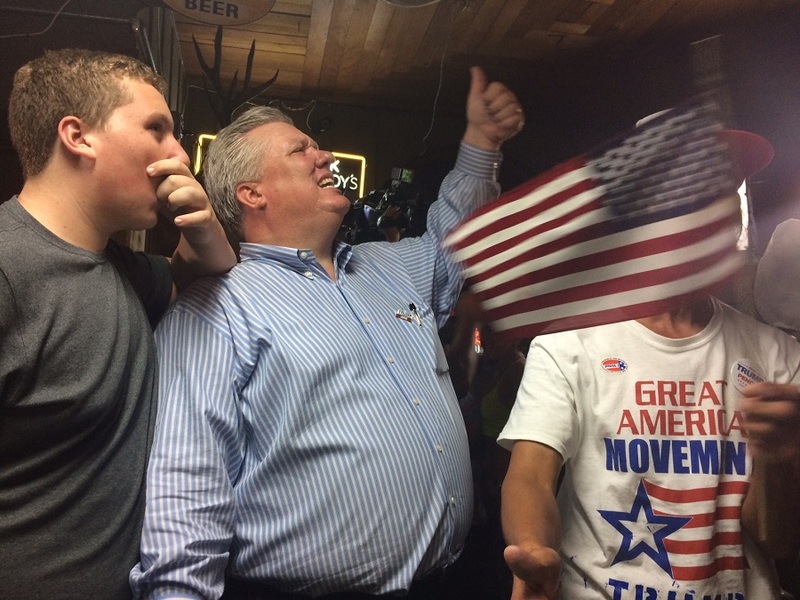 Trump supporters stayed past midnight to witness Trump’s acceptance speech. The race has been called. Donald J. Trump has won the 2016 US race for President. “They didn’t give up. They’ve got so much heart,” said her husband Gregg Lee. “Who would have thought the election would have ended the way it did?” said Markus. Various elected officials in Long Beach remained mum regarding the results of the election. Mayor Robert Garcia’s tweets on Wednesday did not broach the subject. Meanwhile, CSULB President Jane Close Conoley and The LGBTQ Center of Long Beach issued a statement to the campus community and city at large.